PRISON OFFICERS ARE stabbed, beaten and bitten on a regular basis. However, it is not the physical pain which keeps them awake at night: it’s the fear that members of a gang might follow through with a threat issued by a convicted criminal earlier that day. That was the message at the Prison Officers’ Association’s conference yesterday, where they outlined some of the dangers they face in their jobs. Some of the country’s most dangerous people are locked up in our prisons. They are there because they have killed and maimed, raped or thieved. And then there are those who have to watch them: the officers who say they are frequently targeted with serious threats. Assistant General Secretary of the Prison Officers Association (POA), Gabriel Keaveney, spoke at the conference of the increase in the number of threats made by prisoners since the Kinahan/Hutch feud began last year. Despite being locked up, some gang leaders still wield the power, directing operations from their prison cells, all the while controlling exactly what happens on their wing. It’s a constant battle for prison officers to find out which gang is fighting which. But the POA’s executive council believes that moving gang bosses to a segregated block could lead to a more harmonious culture within our prisons. Keaveney added: “The gang bosses will have lieutenants operating on their behalf in prisons. Stephen Delaney, President of the POA, added that there are dozens of gangs operational in prisons. It has gotten to the point where prison officers have to use a colour-coded system to identify prisoners as being a member of a particular gang. The Kinahan/Hutch feud “complicated things”, according to Keaveney. “The number of prisoners on protection is rising all the time. It gets so problematic. At the moment they’re all in different locations. In some cases, it gets so problematic that you have to put a different colour card outside their door. So, the reds can mix with the blues and not the yellows. The greens are ok with the blue and not the rest. It’s insane. You also have people who were never in prison before come up to the gate and say I’m with X or Y. I’m from this part of the city. Moving all different gang bosses has been met with opposition by senior civil servants who say that the transportation of these prisoners would be challenged in the courts. John Clinton, General Secretary of the POA, said he welcomes the legal challenge from the convicted criminals. Let them challenge it in the courts. In other jurisdictions they have isolation units, for violently disruptive prisoners. They call them high security estates in the UK, so you can isolate the gangs, put them into these areas. Let the criminals go to the courts. Who is running the State, the criminal gangs or the State? At their national conference in Galway, members of the POA have called for the restoration of their pay, more thorough investigation of assaults against them and the facilitation of more personal protective equipment when dealing with violent prisoners. What is particularly irksome for many of the prison guards is the disparity between the resources afforded to gardaí and those given to prison officers. Some feel that there is a lot of money being invested to catch the gang leaders but not enough goes to prison officers who actually deal with them every day. Staff shortages are also a big problem. The SCA report, published earlier this month, recommended that pepper spray be given to officers but not batons, something most officers find incomprehensible. “We are absolutely astounded that prison officers in Ireland cannot carry batons. They (SCA) have made a recommendation that it’s okay at the moment and we are working as we are. We’ve asked them specifically, when two prisoners are fighting with blades, what do we do? We have to go in with our sleeves twisted up and talk to these people. “We talk about conflict resolution, about deescalation, we do all that at the moment. We don’t go into a row and jump in as a first issue, we do know how to deescalate many situations, but how we cannot be given batons and pepper spray and equipment, we are absolutely astonished. We gave examples of Scotland and England – they carry batons, and in Northern Ireland, but still in 2017 we go into work with our two arms,” Keaveney added. The Irish Prison Service said that the State Claims Agency report claimed that issuing all officers with batons could destroy the current relationships between officers and prisoners. The POA has repeatedly asked to meet the Garda Commissioner to find out why, they say, assaults on prison officers are not being investigated properly. While Noirin O’Sullivan has sent a representative of the gardaí to meet with the POA, Keaveney said that they want to meet specifically with the Commissioner. “On numerous occasions we have looked to meet her. Unfortunately, she hasn’t saw fit to have the meeting at this particular point in time. There is no point in us meeting an Assistant Commissioner or a Chief Superintendent. They can’t issue general circulars. 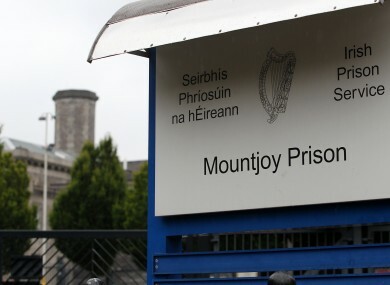 In a statement, the Irish Prison Service said that the increase in gang activity has had “significant implications for the management of Irish prisons”. “Current Irish Prison Service Policy in this regard is to manage these groups and their associates on a daily basis through segregation and separation throughout the prison system,” it said. Email “'A prisoner will say to you: I know where you live, I’ll burn your house down, I’ll get your kids.’ ”. Feedback on “'A prisoner will say to you: I know where you live, I’ll burn your house down, I’ll get your kids.’ ”.